Just yesterday we told you in our post that a leaked inventory of Apple shows that Apple will launch iPhone 4S and new white iPod touch in the coming future , not iPhone 5.And today again again 9to5 has got report from some confirmed source that Apple is ready to launch iPhone 4S.And just like previous models iPhone 4S will also come in three different version 16GB,32GB and 64GB.But still they are not sure about it , may be this time it would come in 16GB and 32GB version and in the future Apple may also launch the 64GB version. 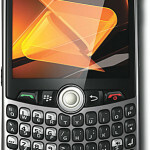 With new technology constantly emerging, items soon become out of date. This means that most people end up with a range of devices and media around the home which are no longer being used. 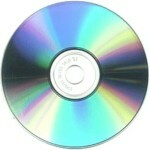 A common example is old CDs which have now been replaced in MP3 format; or perhaps computer games which have been replaced with later versions. If this is the case in your household, there is some good news. There is now a way of making money from your old, unwanted CDs, DVDs or computer games. The launch of next iPhone and few other products of Apple is almost near as Apple is holding a media event on 4th of October and we are still not sure that will Apple launch iPhone 5 or will they just launch the update version of iPhone 4.And today according to report by 9to5mac Apple has added some new products in their inventory database which include iPhone 4S and new White iPod touch model , no iPhone 5 till now. Apple surely has one of the top brands for music players with its all iPod lineup. And of their iPod lineup, iPod touch is surely more popular but other devices also gets good amount of sales. And last year Apple had shaped the shape of their new iPod Nano which meant that can have new strategies for their iPod lineup in the future. And according to the latest report by TUAW Apple fill kill iPod shuffle and iPod classic device in the future and will emphasis more on iPod Touch and Nano. The rumors have surely suggested that Apple will be launching their next iPhone this month in October.For a long time it looked like they will launch iPhone 5 but now a recent report has suggest Apple will only launch iPhone 4S currently.And as far as the exact launch date is concerned Apple Insider has recently reported that Apple will launch next iPhone in the second week of October and because of this Apple is denying the leave applications of their employees. Well if you follow the technology news then you would know have from past year Apple and Samsung have become serious competitors as both have launch one of the best Smartphones and Tablets in past year. And with competition comes lawsuit, as during last few months both the companies have filed several law suits against each other in different countries. And because of that Samsung is not allowed to market and sell Galaxy Tab 10.1 in many countries. Nearly everyone needs a cell phone to get by these days. As the number of personal landlines continues to decrease, more people are going mobile and are relying more heavily on their smartphone to get them through the day. However, not everyone wants the commitment that comes with owning a smartphone. Not only do you have enter into a binding two-year contract, but you also get stuck with a phone for two-years that has one high monthly bill. Apple is expected to unveil iPhone 5 within couple of weeks and maybe this was the reason that they didn’t held their media event in September as normally September is the month in which Apple launches their new iPod touch lineup. But this time it is expected Apple will also launch their new iPod touch in the same event in which they will unveil next iPhone. Most of you guys know that tablets like Apple's iPad and Samsung Galaxy tablet and some other Android tablet are one of the top tablets devices available in the market and because of that other tablet companies are not able to attract more people to buy their devices , especially those whose prices are same as iPad and Galaxy tab.So , we had mentioned before that many companies will have to decrease the prices of their devices to attract more customers. And that’s what RIM intends to do with their Blackberry PlayBook as recently they have decrease the price of the device as low as $249 for Roger workers. We have seen many rumors in the past few months which clearly stated that Apple will launch iPhone 5 in the month of October and for that may be Apple will unveil the next iPhone till the end of September.And most recently German career had placed iPhone 5 for pre-order which further shows iPhone 5 will come soon.And now it is being reported that Stepane Richart who is the CEO of France Telecom has claimed that iPhone 5 will come to their carrier on 15th October.